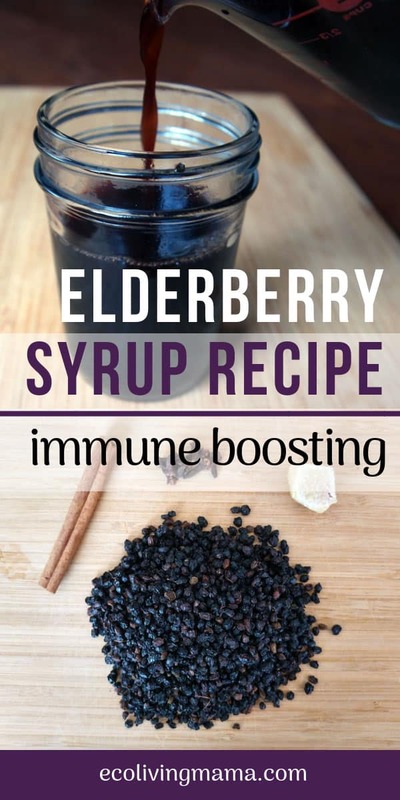 Elderberry Syrup is a must have in our house for cold and flu season. 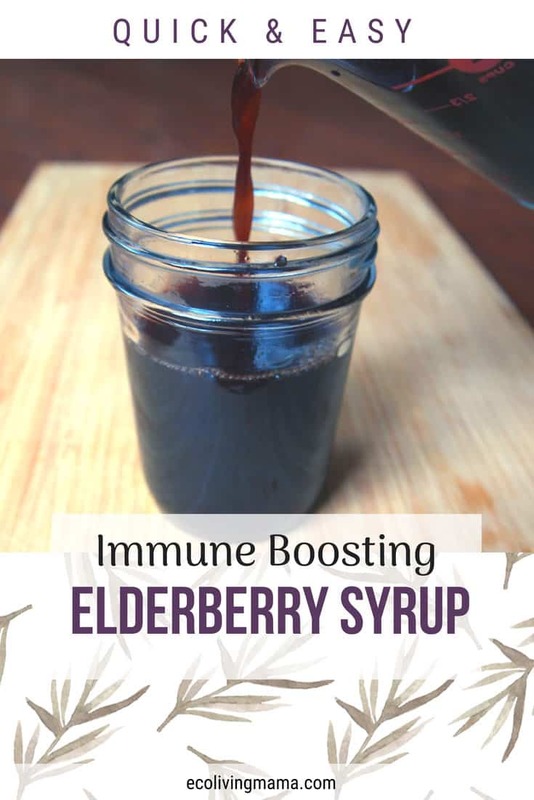 My family takes this super simple elderberry syrup as a preventative every day during the fall and winter months, and triple our dose when illness strikes our house. 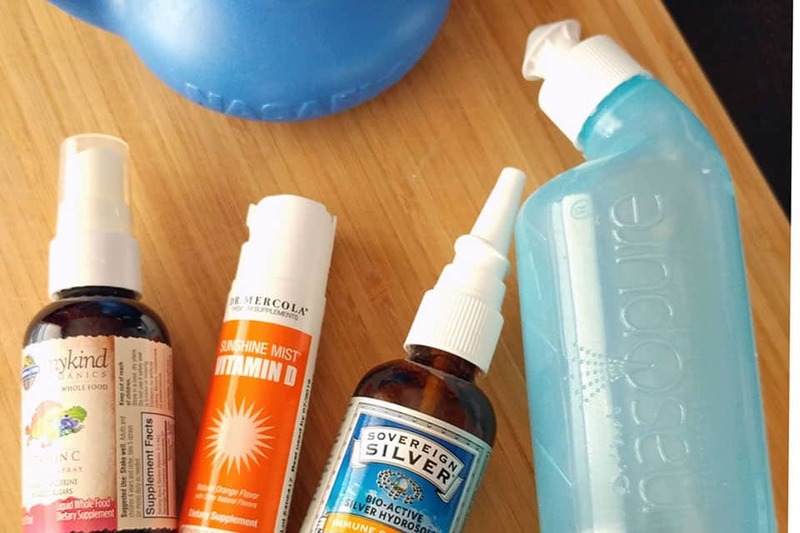 My version of this sweet and spicy immune boosting tonic also has cinnamon, cloves and ginger, all ingredients known for their health benefits. 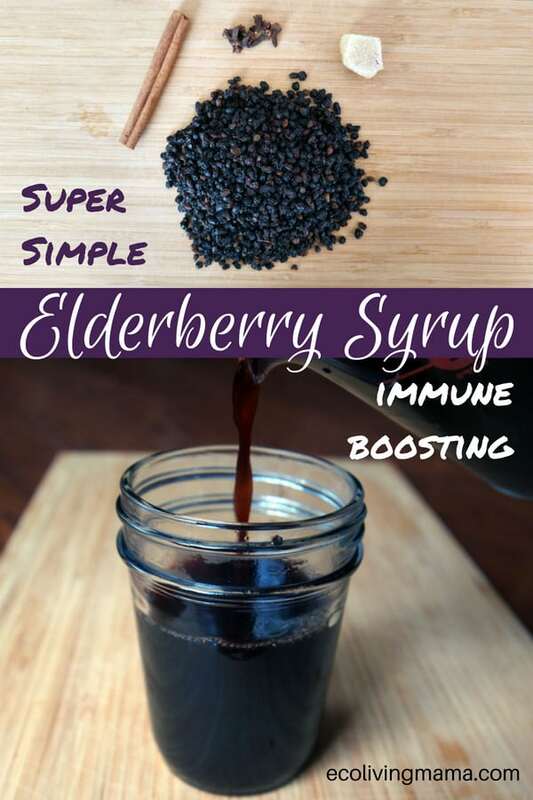 Elderberries are packed with vitamins A, B and C, have anti-viral, anti-bactierial and anti-inflammatory properties, and have been shown to stop the viral replication of the flu. Ginger is a potent anti-inflammatory and can help to strengthen the immune system. It helps to break down toxins in the body and is especially useful for the respiratory system. It has even been used to fight off the flu, and is well known for its ability to aid in digestion and reduce nausea. Clove is a powerful anti-bacterial and anti-inflammatory herb that can aid in the treatment of colds and helps boost the immune system. Clove acts as an expectorant, helping to expel mucus and reduce coughing. It is also high in antioxidants, which are crucial to a strong immune system. 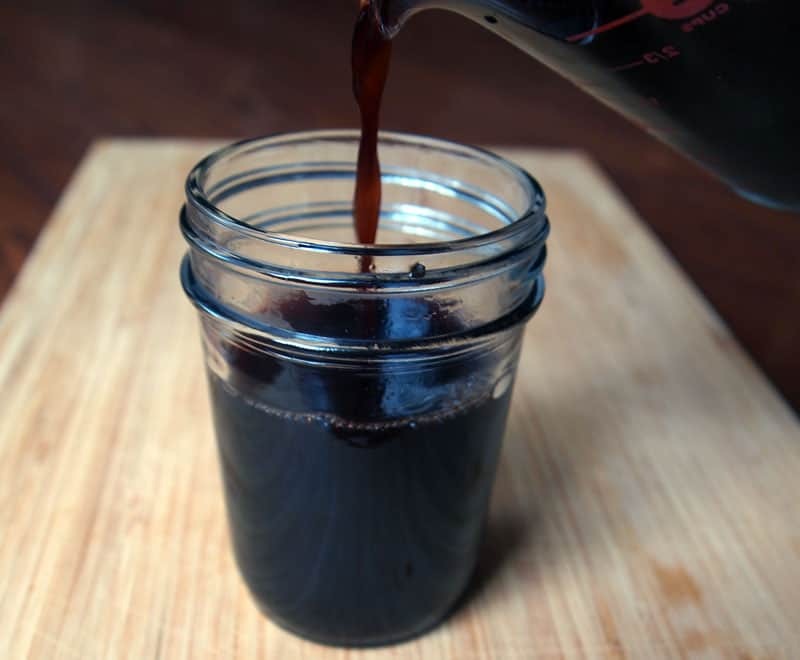 Cinnamon is not just a delicious addition to this elderberry syrup, it adds a number of health benefits to the mix. It has ant-inflammatory, anti-fungal, ant-viral and anti-bacterial properties and is high in antioxidants. This spicy and sweet syrup can also be used as a topping for pancakes and waffles instead of traditional maple syrup. My kids always ask for it! Combine all ingredients in a saucepan and bring just to a boil. Simmer on low for at least 45 minutes, or until liquid is reduced by half. Strain herbs out of liquid, and set aside to cool. Add honey once infusion has mostly cooled and stir until well combined. Sweeten to taste, I prefer less sugar in mine and use closer to ¼ cup. Store in an airtight container in the fridge. This will keep for about 1 month. It can also be frozen into smaller portions to use later. this ‘syrup’ will be thin, not thick like you think of traditional syrups. Take ½-1 tsp daily as a preventative and for general immune health. Triple the dose during illness or exposure to illness. This spicy and sweet syrup can also be used as a topping for pancakes and waffles instead of traditional maple syrup. My kids always ask for it! I have not found any stores local to me that sell elderberries, so have always purchased them online. Elderberries have become super popular over the last few years because of their strong immune boosting properties, and they often sell out by early fall. However they are still in stock on Amazon (as of mid November! ), and they have several brands I have used and like. Try these organic elderberries from Frontier or these wildcrafted elderberries. Starwest Botanicals is another great source for dried elderberries. They carry TONS of other herbs as well, so you could get all of your ingredients in one place. Find cinnamon sticks, ginger and cloves also at Starwest Botanicals. I always make sure I have plenty of elderberries in stock before the cold and flu season hits! I have been wanting to make some elderberry syrup for such a long time now. I’m so glad you posted where you buy the dried berries — it’s been my roadblock so far. I tried some elderberry gummies a while ago, hoping my kids would be on board, but they couldn’t stand them. Hopefully this recipe will be perfect for them! Thanks so much for posting. Here’s to a healthy rest of our winter! !